Kogi BBQ is an interesting case study on many levels. 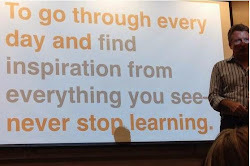 First, it's an inspiring story of a guy who has a 4 a.m. epiphany about how delicious Korean BBQ would taste on a taco and then has the courage to follow through on his idea, resulting in a hugely successful SoCal food business. Second, it's an instructive story about the role that social media can play in creating a grassroot phenomenon. Kogi BBQ has no fixed location. It is a roving truck that announces its location via twitter (@kogibbq). Flash mobs of Kogi fanboys (and girls) drop what they're doing to go and wait for the Kogi-mobile to show up. Similar to yesterday's post on T Mobile's campaign, Kogi offers another example of what's possible when social media is at the center of the brand idea, not an ad hoc extension. I often find that some of the most interesting marketing happens at the local level. 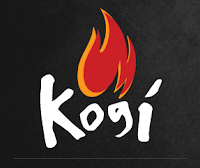 Large national marketers could learn much from studying best practices from companies like Kogi, not McDonalds.